A U.S. District Court judge on March 19 suddenly dismissed U.S. v. Oregon [68-513], effectively ending the court's oversight of a case that's continued in Oregon's U.S. District Court for 50 years. The case ensures the fishing rights of American Indian treaty tribes and non-treaty fisheries in the Columbia River Basin while protecting ESA-listed and non-listed fish runs. U.S. District Judge Michael Mosman signed an order dismissing the case, and simultaneously granted a joint motion by parties involved in the case for a new 10-year management agreement. The joint agreement follows an EIS analysis completed in December by NOAA Fisheries to allow for incidental take of ESA-listed species through harvest. The judge's order adopting that new agreement states, "The Court terminates its continuing jurisdiction in this case. This matter is dismissed without prejudice to re-opening this matter in the event a dispute arises concerning the parties' Management Agreement that requires judicial review." Dismissing a case without prejudice means none of the rights of the parties involved are lost, and that another suit can be brought--or, apparently, this one reopened--based on the same grounds. According to NOAA Fisheries, the case involved Washington and Oregon court decisions determining that Columbia River treaty tribes are "entitled to 50 percent of the harvestable runs destined to reach the tribes' usual and accustomed fishing grounds and stations." A judicial assistant for Mosman said he would not make any statements about his decision. Reaction to the case dismissal was sparse. Sara Thompson, spokeswoman for the Columbia River Inter-Tribal Fish Commission, said in a written statement, "The tribes are pleased that Judge Mosman approved the parties' ten-year management agreement but disappointed that the judge chose to dismiss the case without consulting any of the parties." She added that CRITFC is considering all options. Michael Milstein, spokesman for NOAA Fisheries, said only, "This was unexpected, and we are trying to understand the implications." Most other parties involved in the case either had no comment or did not respond to requests from NW Fishletter for comment. The long list of parties involved includes the U.S. Department of Justice and NOAA Fisheries as plaintiffs, and the states of Oregon and Washington as defendants. The Confederated Tribes of the Colville Reservation is a respondent. Intervenors included Confederated Tribes of the Warm Springs Indian Nation, Confederated Tribes and Bands of the Yakama Indian Nation, Confederated Tribes of the Umatilla Indian Reservation, Nez Perce Tribe of Idaho, State of Idaho and the Shoshone-Bannock Tribe. Filing as friends of the court in the case were the Northwest Gillnetters Association, Washington State Trollers Association, Columbia River Fisherman's Protective Union, Lummi Indian Nation, Quinault Indian Nation and Tulalip Tribes. NOAA Fisheries states on its website that the U.S. v Oregon Management Agreement is a foundational agreement that supports salmon and steelhead fishing in Oregon, Washington and Idaho, ensures fair sharing of harvestable fish between tribal and non-tribal fisheries, and protects and conserves both ESA-listed and non-listed species. 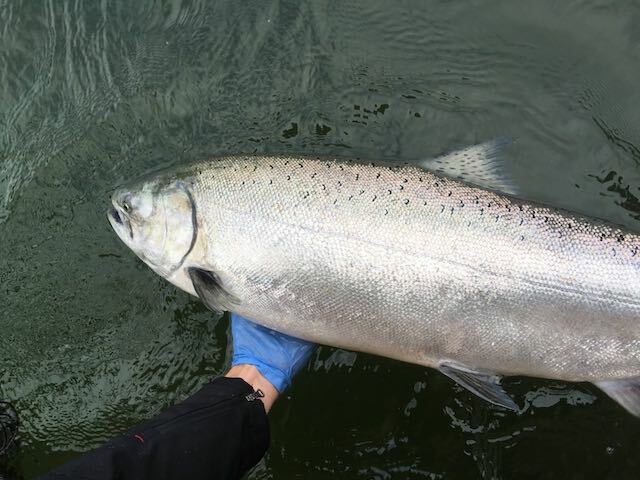 The new agreement extends the prior 2008-2017 management agreement, which provides framework for managing 12 fisheries and hatchery programs in much of the Columbia River Basin.